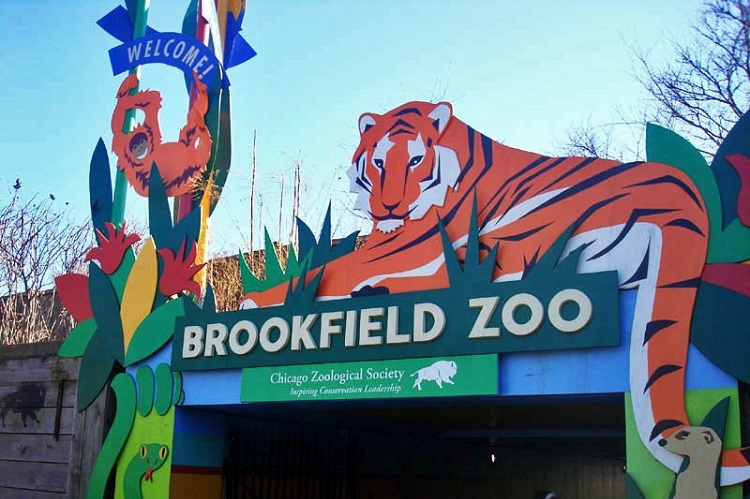 Operated by the Chicago Zoological Society, the Brookfield Zoo is an absolute must-see for animal lovers. Brookfield Zoo is a 14-mile trip from downtown Chicago in Brookfield, IL. The zoo is open every day from 10 a.m. to 5 p.m., although the zoo reserves the right to change hours seasonally as necessary. 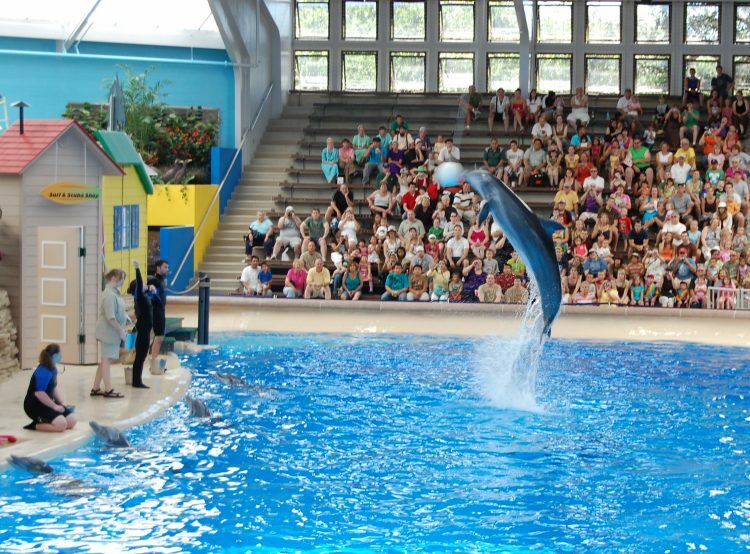 Indoor animal exhibits and the Play Zoo close at 4:30 p.m. As of the 2018 season, Brookfield Zoo’s dolphins display their dazzling routines at 11:30 a.m. and 2:30 p.m. daily. Effective Oct. 1, 2018 to Dec 31, 2018: free admission on Tuesdays and Thursdays. In January 2019, free days include TUES, THURS, SAT and SUN. To show appreciation for the hard work and dedication of the men and women in the United States Armed Forces, the Chicago Zoological Society is offering free admission to Brookfield Zoo to all active, reservist, and retired members of the military. Qualified personnel who present a valid ID at one of the zoo’s admission booths will be admitted free of charge. Larger than the urban Lincoln Park Zoo, Brookfield is home to more than 2,000 creatures – great and small. The Brookfield Zoo is a lot bigger, with a massive primate room and a big outdoor field with bison. And a desert room with meerkats. Who doesn’t love meerkats? They have aardvarks, camels, alligators, bald eagles and lizards. Plus, they house a handful of endangered Mexican gray wolves, which you can see up close when they run past the observation window. The wolves put Brookfield over the top on this one compared to the Lincoln Park Zoo. Brookfield is actually a very old zoo. Its grand promenades and even grander fountains are certainly relics of a time gone by. But it is a modern zoo in the sense that it’s not just about ogling animals on exhibit. It has jumped on the bandwagon of interactivity, as well as promoting conservation and other environmental education initiatives. But most kids just want to see the animals, and there’s plenty of those to be seen here. And that would be our biggest warning: Brookfield Zoo is very large, in terms of acreage. There is a lot of walking between exhibits. For younger kids, a stroller is a MUST, and some families had wagons for older kids. There is some shade — and some of the exhibits are indoors — but don’t forget the sunscreen and plenty of water. Brookfield, Illinois is a short drive from the heart of the city – just out north of Midway Airport – but you’ll be amazed at the massive greenspace nestled in the heart of the Chicago suburbs. The Brookfield Zoo is organized into several distinct habitats and exhibits that each tell their own important narrative about conservation and the natural world. It’s large enough that we recommend reserving at least half a day to spend in the zoo (and remember to factor in travel time when planning your day). Of the animal exhibits, our favorites were the polar bear; the gorillas (the monkey house in general is pretty entertaining if you can stand the smell); and the dolphin show. Atlantic Bottlenose Dolphins perform several times per day with amazing aerial displays. For a unique view, head downstairs to see what happens below the surface during the show. Brookfield Zoo’s dolphin show is the oldest in the nation, and it’s worth the extra fee ($4 for “adults” 12-64; $2.50 for children 3-11 and seniors 65 and up). By the time we left, our sons – enthralled with the dolphin tricks and the trainers – decided they too would be a dolphin trainers when they grew up. You’ll practically feel like you’re in a National Park as you explore the famous Great Bear Wilderness: over seven acres of a recreated North American mountainous landscape that’s filled with iconic animals like grizzly bears, bison, wolves, and eagles. You’ll even find a polar bear or two! 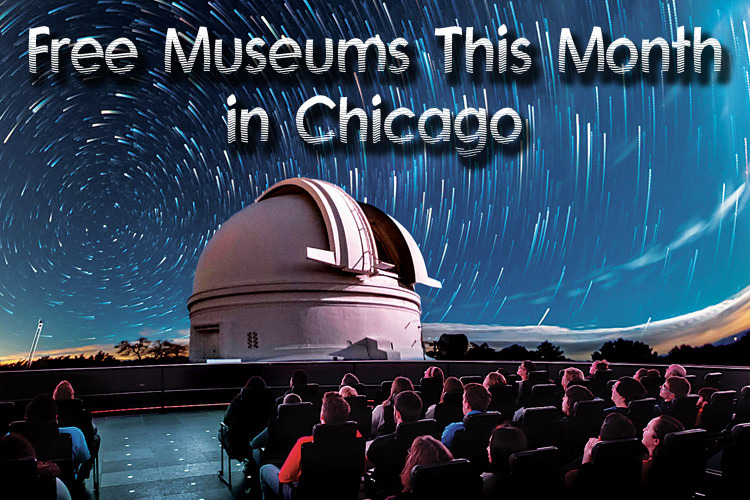 This exhibit is a unique glimpse at a pristine model of the American West – certainly not something you’ll see every day in Chicagoland! The Fragile Kingdom is a multi-exhibit habitat that highlights certain segments of the natural world from a conservationist’s standpoint. By showcasing some of the more endangered or delicate plants and animals across several habitats, Fragile Kingdom emphasizes the important role that human care plays in preserving these precious life forms. Don’t forget about the aquatic creatures! Brookfield Zoo also has the Seven Seas and Living Coast exhibits, which together feature all your favorite marine critters. The Seven Seas are home to a special underwater viewing tank for the Atlantic Bottlenose Dolphin, a creature considered among the most intelligent mammals on the planet. Living Coast features wildlife found on the coasts of Chile and Peru – think everything from penguins and sharks to coral and terns. Be sure to snap a photo of one of the human Andean condors flying overhead outside! Other exhibits at the Brookfield Zoo include a Savannah-like space with a diversity of African safari creatures, the unique Wolf Woods, a fun Perching Bird House, and a little slice of the Everglades at The Swamp. If you’re visiting with small children, be sure not to miss the popular Hamill Family Play Zoo! It’s a hands-on petting zoo-type experience that’s perfect for the little ones.